"...she remains one to keep on side moving forward..."
12:25 - GARRETTSTOWN (3) shaped as if in need of the run for fitness and experience when mid-field on hurdles bow at Newbury 24 days ago, kept wide and not knocked about. He's a likely improver with that under his belt and is fancied to be much more competitive today. Donald McCain's point winner The Con Man and fairly-useful bumper winner Paper Promise are a couple of others to consider. 12:55 - HIDDEN DILEMMA (9) showed much improved form to open her account over hurdles over two miles here last month, and perhaps found the run coming too soon when disappointing at Ayr two days later. It is best to ignore that run with that in mind and, even from a 9 lb higher mark for that aforementioned win, she remains one to keep on side moving forward. The booking of Richard Johnson also catches the eye given his record here and a big run is expected. 13:25 - PEARL ROYALE's (4) chase debut win at Wincanton on Boxing Day has proved strong form and she remains with potential after falling in a Grade 2 at Wetherby when last seen. She was pressing the leader when coming down at the eighth that day and, given plenty of time to get over that, she is fancied to get back on the up on return. The admirable Rons Dream is bidding for the hat-trick of wins at this level and is feared most. 14:00 - BARRYS JACK (6) made an encouraging return to action here four weeks ago and holds strong claims off the same mark as when winning twice over C&D last season, particularly with the promising Danny McMenamin taking an additional 7 lb off. The reliable Wazowski ought to give it his usual good shot, while Kelpies Myth took a step back in the right direction last time and could build on that. 14:30 - Course winner ACHILL ROAD BOY (5) shaped nicely on his reappearance at Ayr in October, despite reportedly struck into during the race, and has the handicapping scope to build on that having won off higher marks in the past. Misfits won easily at Hexham and is likely to go well again despite a 10 lb rise, while top weight Mahler Lad was a creditable second at this venue on his return from a break in October. 15:00 - JUSTATENNER (2) has thrived since switching to Tristan Davidson, producing another career best when finishing runner-up at Ayr last time, and a further 5 lb rise may not stop him as that is proving sold form. 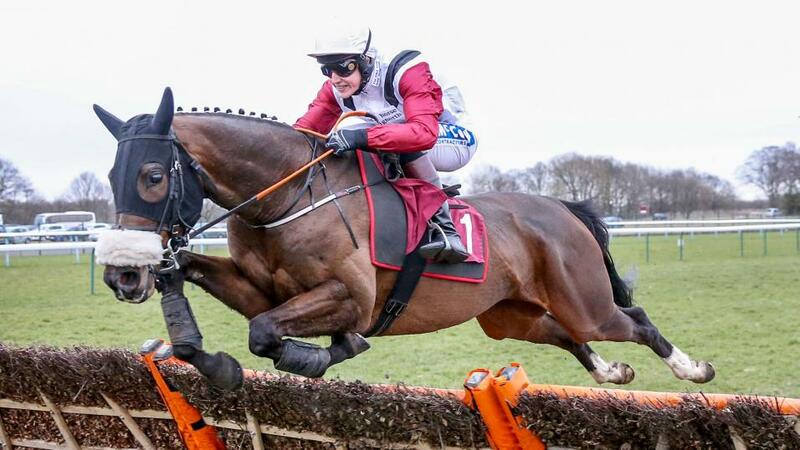 The likeable Rivabodiva ought to give it another good shot, while Another Mattie is nicely treated on his best form and shaped quite encouragingly on his reappearance last month. 15:30 - Her peak fitness has to be taken on trust but CARALINE (1) has a much more solid profile than the majority of these and this could represent a good opportunity for her to bag a nice prize. Present Flight isn't one for maximum faith but he's starting to look very well handicapped and didn't shape too badly last time. It's also possible Whitsundays could revive after a break.